And it is now confirmed. Antu'Rah, as we know it, will be gone in Cataclysm. 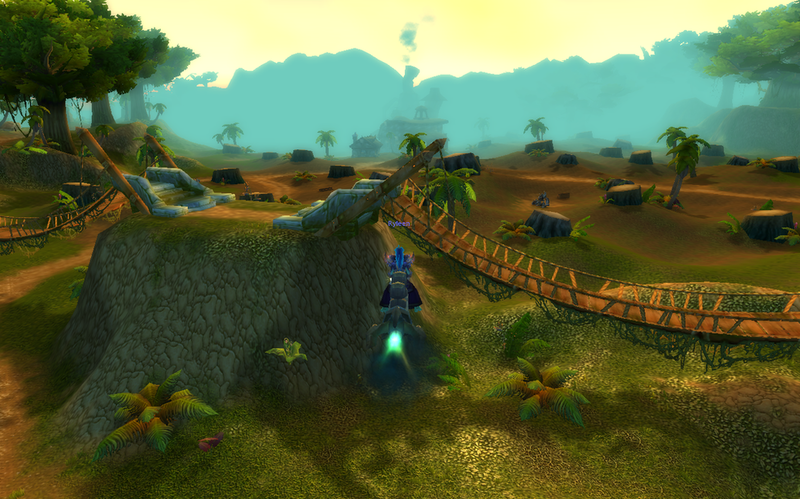 - Stranglethorn Vale: Now divided into two separate zones! "Such rewards will include a Guild Mount, complete with its own tabard "
That, and the ability to buy guild banners that can be placed on the ground.. We'll be able to look so cool! Noes! All our work has been for nothing! 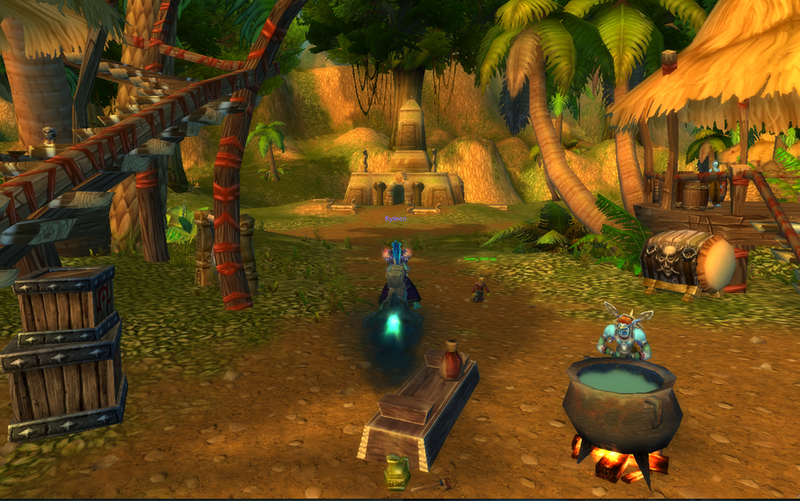 Probably the new troll-themed Horde camp is actually what remains of Antu´Rah after the Heritage´s negotiation with the Horde. seems ogres? take over more and allies... how in hell can nesingvary camp grown big too... he left years ago to nagrand and then to borean. The camp should have been overrun by animals and trolls by now, especially if he left. If blood get into Antu, our agreement might change after cataclysm as we trolls will prob move to other home then i had thought. Perhaps Heritage follows us then. No, the new place will not icly be Antu'Rah. We always said Antu'Rah is actually higher up in the hills than it's represented ingame. The most likely result is that in the earthquakes, the valley will collapse. (remember how we said it was originally sealed off due to an earthquake? It's probably unstable.) With all those high cliffs above the lake and above te valley intself, it's easy to imagine near total destruction. New map. 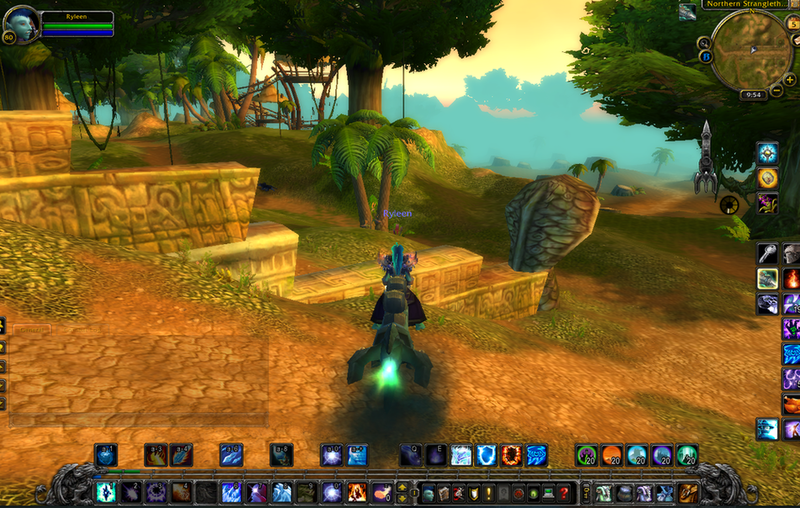 Stv is two zones now. THe bridge to the new troll village. The village itself. 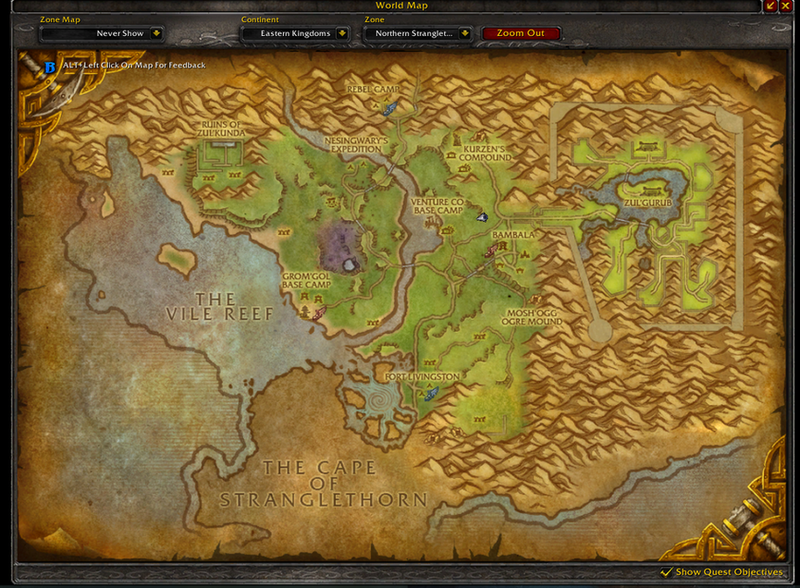 Has got a flightpath and all. It seems they stole the Yojamba temple. They are darkspears though. This is how close to zg they are. 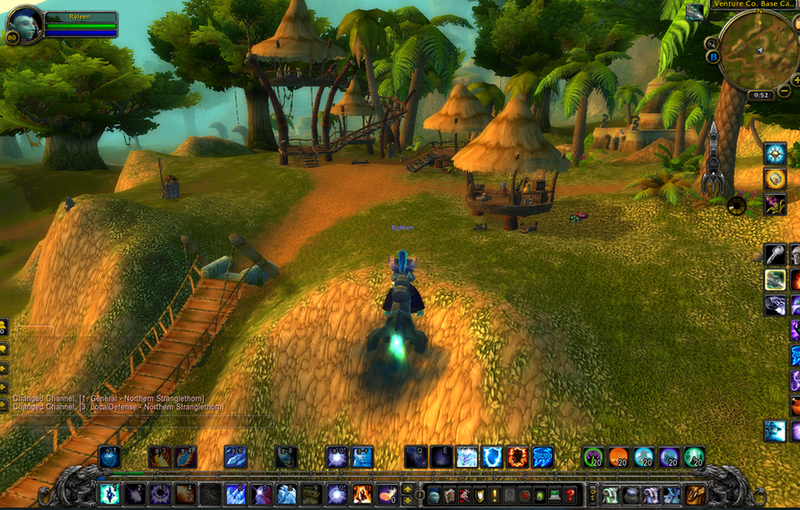 Zul'Gurub itself is still the same. But we know for certain now that it will be removed, so the changes are clearly not finished yet.